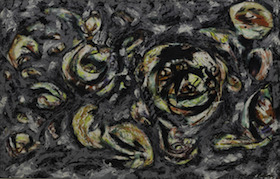 Last few days...From the Guggenheim Collection to the Cobra Museum, Amstelveen in Amsterdam from 5th April - 31st August. The Solomon R. Guggenheim's International Abstraction: 1949-1960 at the Cobra Museum in Amstelveen. Thirteen of these works were in the Guggenheim's inaugural exhibition in 1959. This interesting exhibition goes well in parallel with Tate St.Ives 'International Exchanges: Modern Art and St Ives 1915–1965' this Summer.. Both exhibitions exploring the international significance of post war abstraction taking place in Europe as well as USA, which has only been seriously understood in the last decade, re-considering Abstract Expressionism, Art Informal in Paris, Arte Povera and CoBrA. 'The 1950s ushered in a diversity of fresh, bold artistic styles and avant-garde associations on both sides of the Atlantic. From the Abstract Expressionist and Art Informel movements to the CoBrA and Dau al Set artist groups, the revitalization of experimental art following World War II signified renewed interest in freedom of expression and spontaneity. Artists experimented with unorthodox materials, techniques and subject matter, and reexamined earlier art movements, such as Surrealism. French writer Michel Tapié even declared the existence of 'un art autre' (art of another kind) - a radical break with all traditional notions of order and composition, in a movement toward something wholly “other”. From the Guggenheim Collection: International Abstraction 1949-1960, as the title suggests, showcases a selection of works from the collection of the Solomon R. Guggenheim Museum. For the very first time, works from the core collection of mid-twentieth century art from this world-renowned institution are on view in the Netherlands. 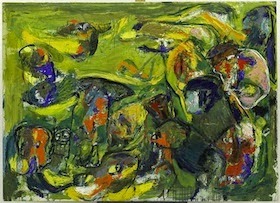 The exhibition focuses on the years from 1949 to 1960, a dynamic period in which modern art and post-World War II societies were undergoing radical changes.New York joined Paris as a center of world culture: in both cities, artists were fervently in search of new, expressive and performative painting. From the Guggenheim Collection also celebrates a vital time in the history of the Guggenheim Museum. In 1952, James Johnson Sweeney was appointed director, and the year 1959 marked the opening of the sensational Frank Lloyd Wright-designed building. 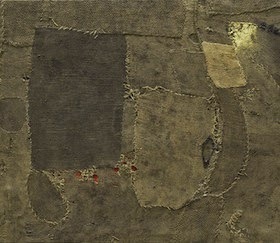 The inaugural exhibition in 1959 included over 120 works. They were partly by important modernists from the collection, such as Constantin Brancusi and Vasily Kandinsky, but more than half of the works had been acquired during Sweeney�s tenure. They included 40 contemporary paintings and sculptures by an international array of artists, clearly demonstrating Sweeney's commitment to innovation and the art of his own day.